This invitation-only event is independently organized under TED-license and will challenge you to think differently, share ideas and broaden your horizon. TEDxEde is organized by a nonprofit foundation, so no profit will be made from this event. On October 16th TEDxEde 2014 took place. As a team we were overwelmed by how amazing a day it was. Based on the reactions we received from our guest they had a wonderful and inspiring day as well. To relive those moments our photographer Patrick Fontijn made lots of beautiful photo's we love to share with you. 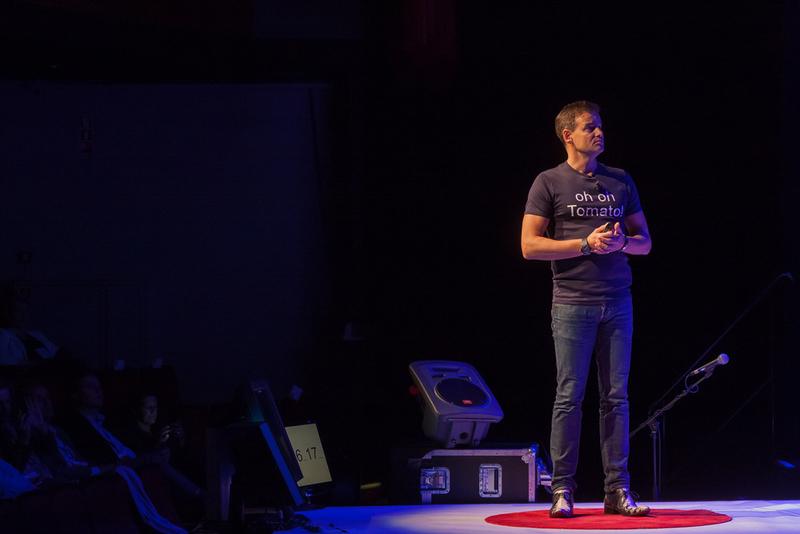 A total of 18 speakers took the stage at TEDxEde 2014. Angelique Schmeinck, Jaap Korteweg, Kaouthar Darmoni, Marleen van der Loo, Irene Koel and Wilfred Genee for example gave inspiring speeches! Take a look at the photo's to get an impression of our speakers on stage. 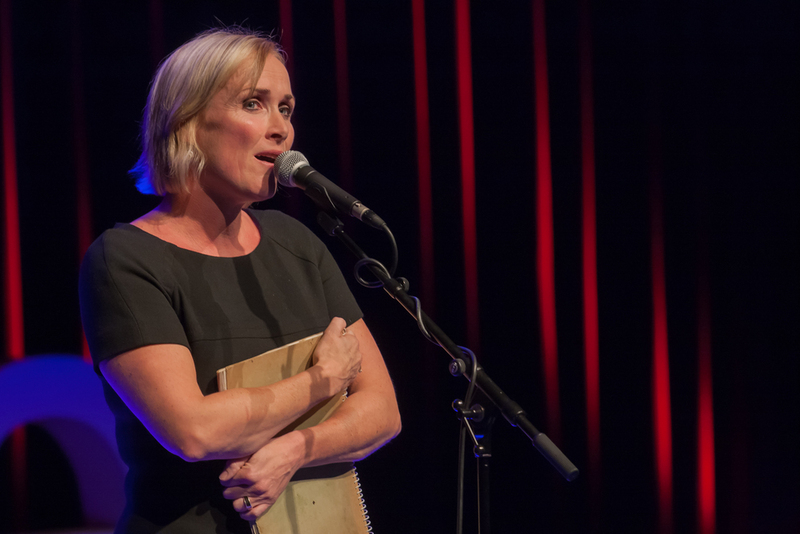 An overview of all the TEDxEde 2014 speakers you can find here. Maybe you were one of the lucky ones that got an ticket to the 2014-edition of TEDxEde or maybe you are just curious what happened that day and why TEDxEde was trending topic? Take a look at the photo's to get an impression, but more imporant: take a look at the Talk-video's that you can find on this website and get inspired! The 2014-edition was a huge success and we already started to create an even more amazing - if that's even possible - event for all of you. Trough this website and social media we will update you as much as possible. An when the date is set, the registration is open etc. : we will let you know! So please, stay in touch and sign up for our newsletter. All our events in 2013, 2014 and 2015 will be held in 'ReeHorst' in Ede. The ReeHorst in Ede is centrally located in the Netherlands and at the heart of the stunning Veluwe region, an area of breathtaking natural beauty. That makes a perfect location Which is, easily and quickly accessible from the motorway (A12 and A30/5 min) and by train (Ede-Wageningen station/3 min). The facility also has 700 dedicatedparking spaces.